Every relocation brings a lot of challenges and stress, especially a long distance one. And it’s not only because of the distance you need to overcome but also because of all the regulations you need to pay attention to. This is why people usually leave this kind of move to the professionals. So, if you are looking for a reliable moving company to help you move across the country stress-free, you are definitely at the right place. Interstate movers New Hampshire are not only experts in long distance moving, but also highly skilled and experienced professionals. We are here to cover your entire moving process at affordable prices. Beside the main services in our offer, we will be glad to hear and try to meet all your requirements. 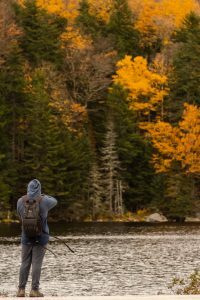 Enjoy all the outdoor activities New Hampshire offers. New England’s state of New Hampshire has seven geographic regions. From the Lakes Region and Seacoast to the Great North Woods, New Hampshire provides many livability choices. Also, it offers a variety of year-round activities to enjoy. Snowmobiling, boating, and hiking are just some of them. The state has no general sales tax or personal income tax, which attracts many new residents, and businesses. 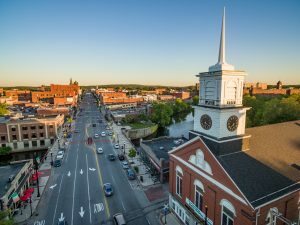 Some of the most interesting places to live and work are Concord, Exeter, Lebanon, Manchester, Nashua, Portsmouth, Rochester, Hanover, and Laconia. Depending on where you live, you are usually only 1-2 hours away from the mountains, and the ocean. There are plenty of opportunities for outdoor activities in all four seasons. Lifestyle varies from tiny little hamlets to the major cities, reasonably affluent communities, and everything in between. Therefore, everyone can find something for themselves. New Hampshire has museums, performing arts, minor league hockey, and baseball teams. Also, there is a fair selection of quality restaurants. No sales or income tax. Proximity to bigger cities like Boston. The city of Nashua, New Hampshire. People often underestimate this part of the moving process, thinking they will pack easily on their own. But the fact is that we don’t really know how many things we own until we start packing them. Also, keep in mind that proper packing is crucial for the safety of your belongings. That is because things that are not well packed, are in bigger danger of getting damaged or broken during transport. Additionally, packing is probably the most time-consuming part of a relocation. And people often end up paying more than they have planned for packing supplies. Purchasing packing materials and packing your belongings without a clear plan and right technique could be a huge waste of money. Especially if at the end something gets damaged after all. This is especially true for an interstate move, where items travel a long period of time. But if you leave packing to us, you are saving your time, money and above all, your nerves. Being one of the best interstate moving companies New Hampshire, we use only high quality packing supplies in order to protect your belongings in the best possible way. Moving house is always a delicate task because we all are particularly attached to our personal belongings. Interstate movers New Hampshire understand that, and that is why we treat your belongings as if they were our own. Once you hire us, you can be sure that you are getting premium residential moving services, adjusted to your needs. Because we know that every customer is unique. That is why we do our best to provide a unique approach to every one of them. Whether you are moving a single item, one room or entire house, one of the best interstate moving companies New Hampshire is up to the challenge. There are no big or small projects for us, only the successful ones. That is why we are happy to deliver your belongings safe and sound to the doorstep of your new home. And you can just sit back and deal with more important things, like finding a new job or adjusting to the new environment. Leave the heavy lifting to us and enjoy this new chapter of your life. Why Best Cross Country Movers New Hampshire? Nowadays there are plenty of moving agencies. Some of them will probably try to attract you with amazingly low prices of their services. But, moving is more than just packing, loading the boxes and driving them around in a truck. 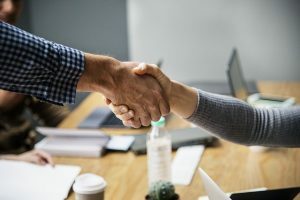 There are many regulations, information, and skills you need to have, in order to perform one relocation successfully and efficiently. Therefore, finding dependable interstate movers is a crucial step. Best Cross Country Movers New Hampshire are proud of their team members, business politics, and customer care. When you are passionate about what you do, the results will follow. Hence, hundreds of satisfied customers are our biggest award. Become one of them! We are happy to hear all your questions, concerns and wishes, in order to answer and react in the best possible way. You can contact us by phone, via email or visit us, so we can discuss your relocation in person. And remember, the more information you provide us, the better plan we can make for your relocation. Tell us all about your wishes and expectations, and we will do our best to fulfill them! And d0 not hesitate to share your special requirements with us, because our job is to make and keep our customers satisfied. Whenever you are ready, interstate movers New Hampshire are ready too!